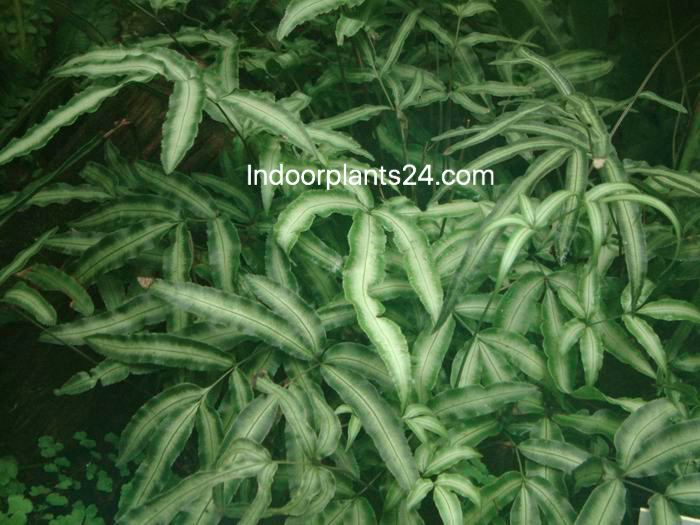 Also known as Cretan brake and ribbon fern, this long-lived plant should thrive in most indoor situations, provided it is never allowed to dry out. Its main feature is the elegant, compact fronds that die back from time to time; but if they are cut back to the base, new ones will form. Do not use leaf shine. Two good varieties are Pteris cretica ‘Albolineata,’ variegated table fern, with deep green leaf edges and a broad white central stripe, and P.c. 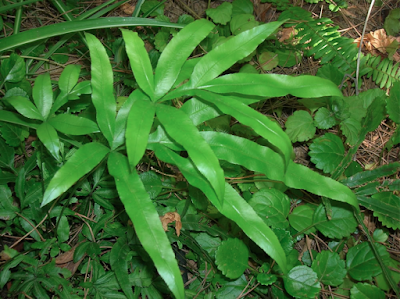 Alexandrae,’ cristate table fern, which has lighter green pinnae tipped with a cockscomb of leaflets. ORIGIN: Old World tropics; subtropics. POTTING MIX: Soil-based with low acidity. REPOTTING: Repot in spring only when pots become congested; the plant grows best*when pot-bound. Do not bury the crown of the plant. PROPAGATION: Divide large plants into two or three pieces in spring. KEEPING PLANTS: Fronds will turn yellow if the air is too warm and dry; mist regularly to maintain high humidity. Keep the soil moist, but not sodden, at all times. Feed every week in spring and summer with a dilute standard liquid fertiliser.